Today’s map shows wine excise tax rates across states, expressed in dollars per gallon. Due to differences in alcohol content, states tend to tax wine at a higher rate than beer but at a lower rate than distilled spirts. 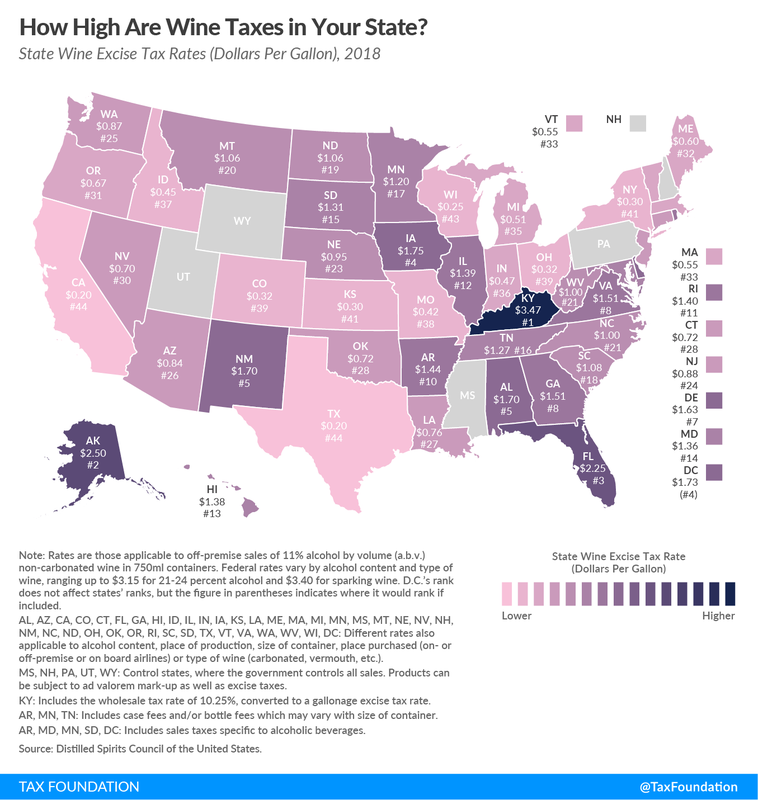 Kentucky has the highest wine excise tax rate at $3.47 per gallon, followed by Alaska ($2.50), Florida ($2.25), Iowa ($1.75), and Alabama and New Mexico (tied at $1.70). The lowest rates are found in California and Texas ($0.20), Wisconsin ($0.25), and Kansas and New York ($0.30). Most states levy per-gallon taxes on wine vendors for the privilege of producing, importing, possessing, or selling wine in their state, but specific approaches vary widely from state to state. Beyond volume-based taxes, many states impose additional layers of taxes that vary based on wine type, container size, alcohol content, place of production, place purchased, and other factors. For example, Arkansas and Tennessee levy case fees in addition to per-gallon taxes. Minnesota levies bottle fees that vary according to container size, with standard bottles taxed at $0.01 per bottle and miniature bottles taxed at a higher rate of $0.14 per bottle. 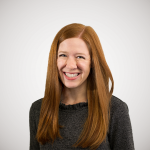 When taxes are levied at the production, wholesale, or retail level, vendors ultimately pass along the cost of these taxes to consumers in the form of higher prices. However, some alcohol taxes are paid directly by consumers at a rate determined by the state. Four states and the District of Columbia levy sales taxes specific to alcoholic beverages. While most states use a licensing system to regulate the sale of alcoholic beverages, other states–known as “control” states–impose a government monopoly on the wholesale or retail of beer, wine, spirits, or all alcoholic beverages. Wine “control” states include Mississippi, New Hampshire, Pennsylvania, Utah, and Wyoming.